Easily assembled five tier unit. Robust plastic construction. 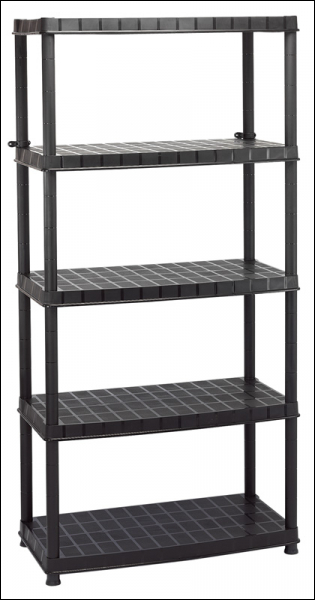 Each shelf can carry up to 70kg (evenly distributed) giving a total of 350kg. Supplied flat pack with wall mounting brackets for security. Ideal for domestic, office, garage and workshop use. Display packed in polythene bag with insert card.